US Secretary of State will visit North Korea on Sunday and meet Kim Jong Un. 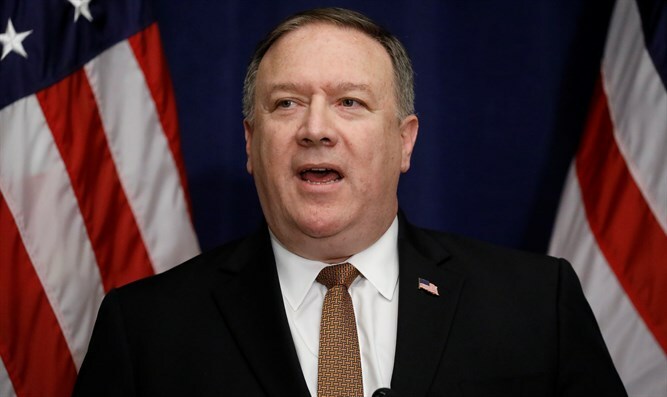 US Secretary of State Mike Pompeo will visit North Korea on Sunday and meet leader Kim Jong Un as the administration's hopes rise of a denuclearization deal, the State Department said on Tuesday, according to AFP. The rare advance announcement of a meeting with Kim came hours after North Korea raised the stakes in negotiations, saying it would not give up its nuclear weapons in exchange for a peace treaty. Pompeo, who is trying to arrange a second summit between Kim and US President Donald Trump, will also head to US allies Japan and South Korea, as well as North Korea's chief ally China with which the United States is engaged in escalating trade and diplomatic disputes. It will be the fourth trip by Pompeo to North Korea as the Trump administration looks to end its nuclear and ballistic missile programs. "I think it shows forward progress and momentum that the secretary is making his fourth trip in less than a year," State Department spokeswoman Heather Nauert told reporters, according to AFP. "Everyone recognizes that we have a ways to go and a lot of work that is left to be done," she added. "But obviously these conversations are going in the right direction and we feel confident enough to hop on a plane to head there to continue the conversations." Trump has remained optimistic that North Korea will ultimately denuclearize. During his address at the UN General Assembly last week, Trump lauded the North Korean strongman as “terrific,” one year after Trump eviscerated Kim from the same platform. North Korea’s Foreign Minister, Ri Yong Ho, on Saturday told the United Nations General Assembly that there was a "deadlock" in the denuclearization talks as the United States "relies on coercive measure that are lethal to trust-building."